Rib tube painting has now evolved. At Rib Shop with new products and techniques now available the painting and coating and restoration of Rib tubes has now become a great alternative to re-tubing. 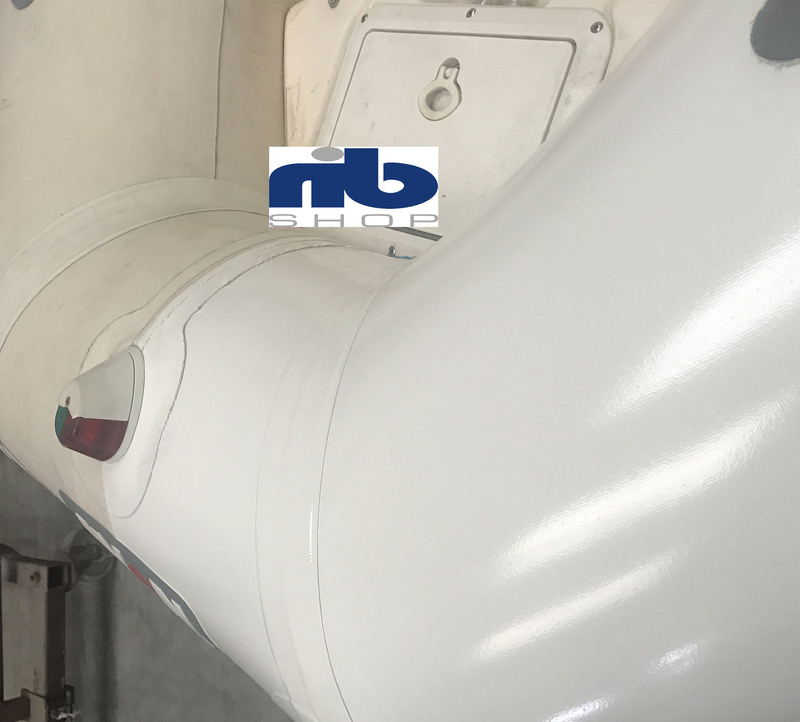 If your tubes are still in a sound condition and just need cosmetic improvement the cost saving of painting over re-tubing makes paining a great option. Our product is sprayed on giving a superb high quality finish that is 300% lighter than some other tube paints. It provides a UV resistant hard surface that will retain flexibility that will leave a mould resistant hard wearing surface. The paint can be applied to Hypalon or PVC tube material. It is resistant to chemicals such as oil, diesel and turpentine. There is a large choice of colours available including fluorescent, pearl, and metallic finishes.